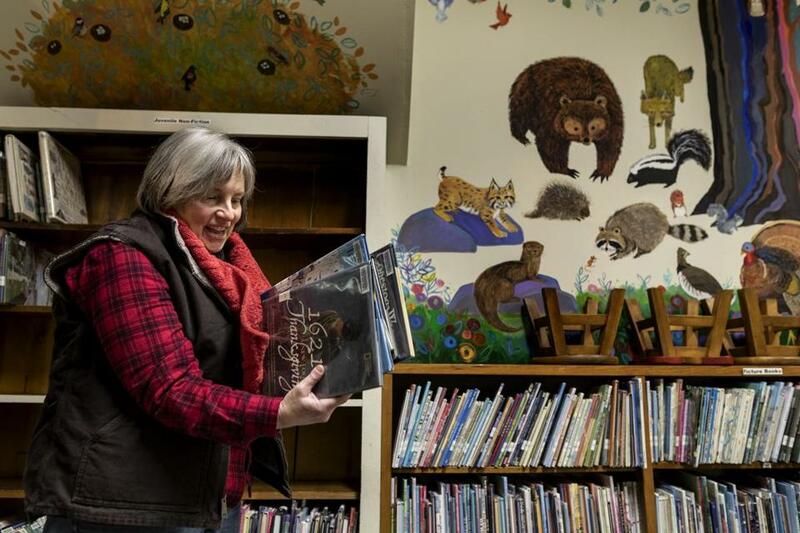 Andrea Bernard is library director in Charlemont, where Tyler Memorial Library is one of the few places in town with good Internet access. CHARLEMONT — The public library here, in a wing of the sturdy brick Town Hall off of Route 2, isn’t necessarily the best spot for quiet study. It’s one of the few places in this small town nestled in the northwest corner of the state where residents can reliably get high-speed Internet access. So when the library is open — parts of three days a week — patrons are as likely to be immersed in a teleconference or a streaming movie as they are in a good book. Like many of the small hill towns in the region, Charlemont has been waiting years for reliable Internet access, stuck in an antiquated system of dial-up and DSL that makes it hard to work remotely, buy stuff online, and access government services that require online filings. After a generation of hoping someone would build a broadband network to serve Charlemont’s farthest-flung corners, the community of about 1,100 people got an offer this year that might have been the answer to their prayers. Comcast, in exchange for a subsidy from the state and local governments, was willing to build connections to nearly all of the town’s homes. Instead, residents handed the communications giant a collective “No, thank you.” At a Special Town Meeting on Dec. 6, they voted to build their own $1.5 million broadband network — at an added cost of nearly $1 million over the Comcast offer. 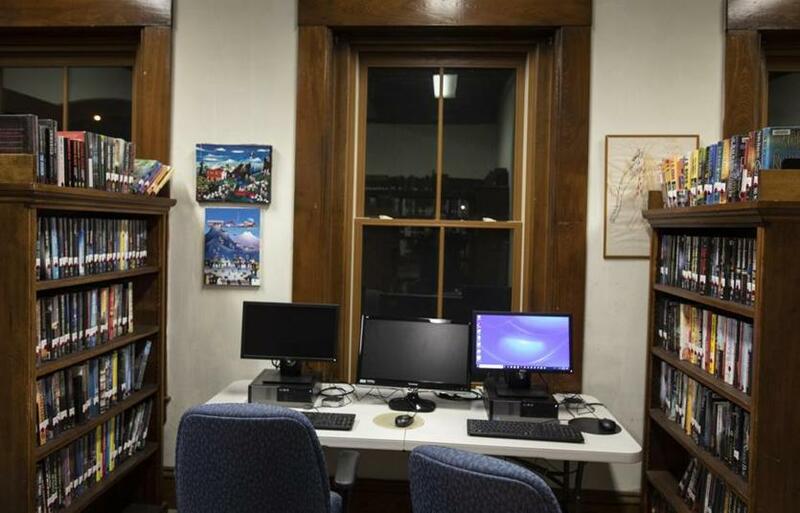 The Tyler Memorial Library in Charlemont has web access workstations available for the public. Charlemont is one of several municipalities in Western Massachusetts puzzling over how to ensure that decisions about connectivity stay in local hands. Some residents are wary of trusting a big company to make decisions about such a crucial service. “I like the idea that it will be owned by the town. It’s something that the town should be proud of,” said Trevor Mackie, a member of Charlemont’s broadband committee, which has been examining the puzzle of how to network the town for several years. 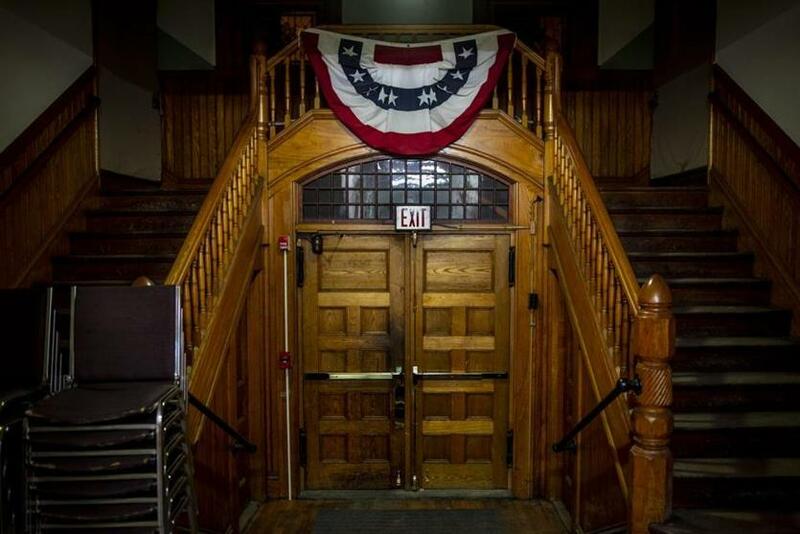 But the town’s decision to hire a contractor to build out its system did not come easily — largely because of the upfront cost. That’s what has Karen Hogness, a resident who voted in favor of the municipal network, still feeling uneasy. Other small towns have found themselves torn along similar lines amid a yearslong effort by the state to expand broadband to remote, sparsely populated areas that aren’t attractive to service providers. The Massachusetts Broadband Institute was launched in 2008, when Governor Deval Patrick cobbled together money from state coffers and the recession-era federal stimulus program to pay for the major infrastructure effort. One big step was the $90 million construction of a broadband line to connect 123 municipalities in the central and western parts of the state. Next, the state encouraged them to arrange “last-mile” connections from the main line directly into homes. While the broader connection has faced legal and economic problems, it is up and running. The “last mile” projects, on the other hand, have proved to be more time-consuming. In part, this is because of a change in approach after Governor Charlie Baker took over. Many towns, including Charlemont, had been moving toward the formation of a joint effort called Wired West, which would own a shared network. But state officials questioned the financial viability of that approach and in 2016 urged Comcast and other companies to look again at the municipalities, while leaving open the option for towns to build independent municipal networks. The entrance to the Tyler Memorial Library. For towns like Charlemont that had already put aside money to participate in Wired West, that left few options. Comcast did not immediately step in, so last year the town decided to hire Westfield Gas & Electric, a utility that has helped several other towns build networks. Then, this year, Comcast made its offer. Though the town had voted on the Westfield plan before, the Select Board decided that the cable company’s proposition was attractive enough to give townspeople a chance to change course. In the end, voters chose narrowly to stick with the municipal option. Faced with a similar question, nearby Worthington could not muster a required margin of two-thirds to build its own system and decided in May to go with Comcast. Charley Rose, chairman of the Worthington Selectboard, worries the May decision was short-sighted. Comcast has said that once it builds out a system, it is committed to maintaining it. There are other benefits to town-owned systems. Local governments can choose their own equipment, and many have gone with faster, state-of-the-art fiber optic lines rather than the cable connections the companies might offer. Charlemont’s broadband committee told voters the municipal plan would not necessarily cost them more. The effect on the tax rate will be the same as the Comcast deal if 59 percent of potential customers take the service, according to town documents, and cheaper if more subscribe. And for many in the region, the appeal of independence is hard to ignore. Some have been frustrated by their phone company, Verizon, which in many hill towns has such limited broadband capacity that it can’t take new customers. In houses that are lucky enough to have service, owners who want to move can have trouble selling because they can’t guarantee that Verizon will transfer the account. That represents a problem for towns that have seen their economic base decline in recent decades and are trying to find a place in the new economy. Many people in Charlemont are transplants, interested in rural living that’s not too far from Boston or New York. In urban areas, where Internet connections are seemingly unlimited, some people are looking for ways to spend less time online — disconnecting from the barrage of notifications that clutter our days and the social media arguments that can decay our civic lives. But to Karen Hogness, there’s nothing quaint or romantic about living offline, with no way to reliably participate in the digital economy.